In my last post I outlined the concept of System 3, what it is and why it matters. In short, System 3 is the mental ability to imagine the future and evaluate how happy you will be in it – based on how pleasurable the process of imagining itself is. There are few truly universal books on behavioural science: like most of the others, this one has a particular reader in mind. Richard's reader works in advertising, and it must be a rare advertising executive who still hasn't heard of behavioural economics. Richard therefore heads straight into the meat of the book with little beating around the rational-agent bush. A couple of connected anecdotes start us off and we quickly get to the first of 25 chapters, each on a single bias, that make up the body of the text. 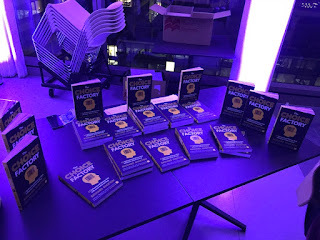 The book is very readable, and even if you already know what the fundamental attribution error, the pratfall effect and Veblen goods are, you'll probably still enjoy the stories and quotes that illustrate them. I hadn't heard of some of the experiments and anecdotes that Rich discusses - and he and his colleagues have carried out many of their own original tests - so even as a professional in the field there is much here that's worthwhile.